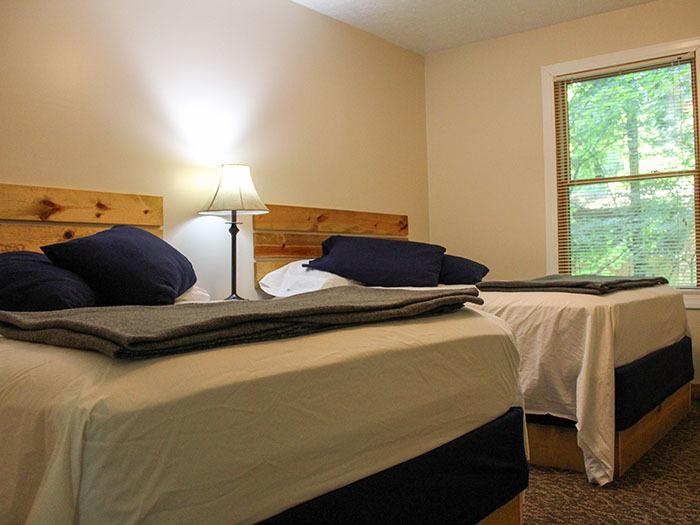 The Peace and Quiet House sleeps up to 8 people across 1 bedroom with 2 beds and 1 bathroom (or 16 people if the house is rented as a duplex). Spread across 2 floors the house provides more than enough room to kick back and relax after a hard days shopping, hiking or mountain biking. 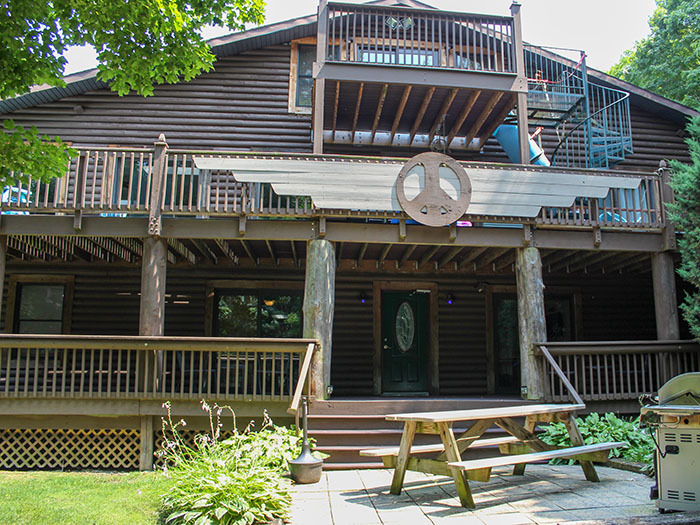 From the ground floor up the house includes a large covered porch area outside for your mountain bikes or party favors. Kitted out with seating, hooks and hangers the porch and firepit area creates the perfect space for getting ready for the days activities, or winding down afterwards. A washing machine, a tumble drier and drying racks available for those needing to do laundry or for drying out wet gear. The bedrooms are all situated on the ground floor, along with an en-suite bathroom and power shower. The main common area offers a large living room and a kitchen and dining area. 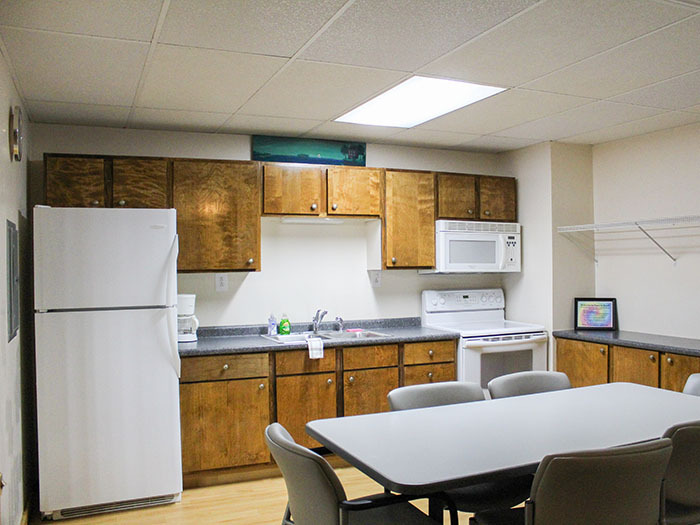 The kitchen is well equipped with all the essentials to eat in including an oven, microwave and dishwasher. 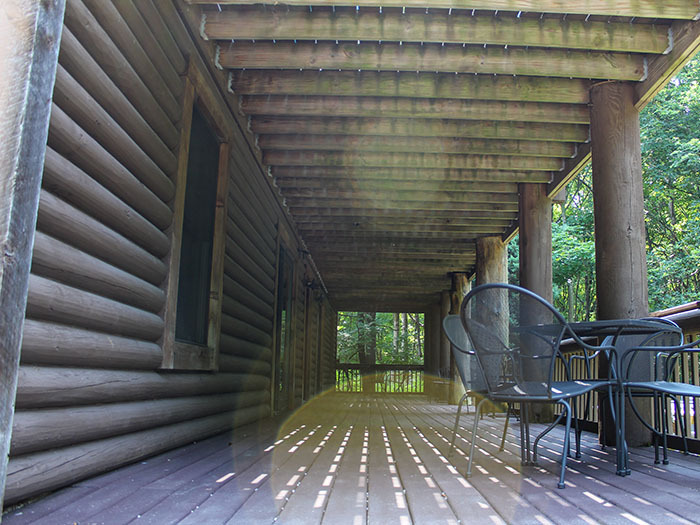 There is also access out onto the porch and furnished patio/garden area. BBQ's are encouraged, though not recommended in winter! Brrrrrrr! 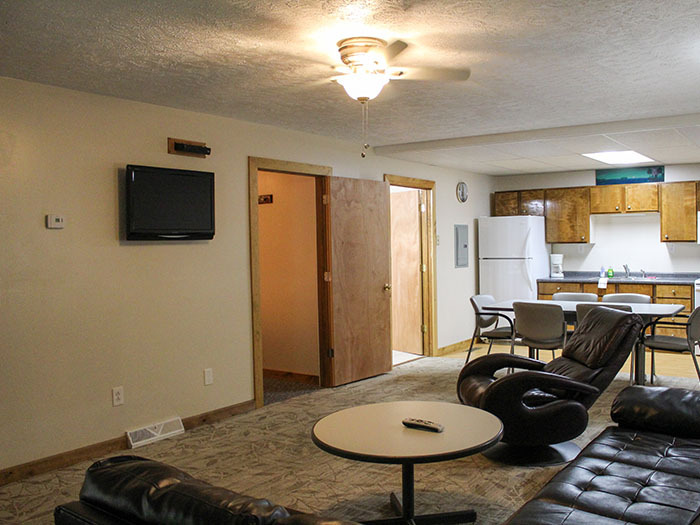 The main sitting room includes three comfy sofas, a 32" flat screen TV with cable, DVD player and iPod dock – a perfect space to party away those long dark weekend evenings before heading downtown to the bars and restaurants that Put-in-Bay is famous for. 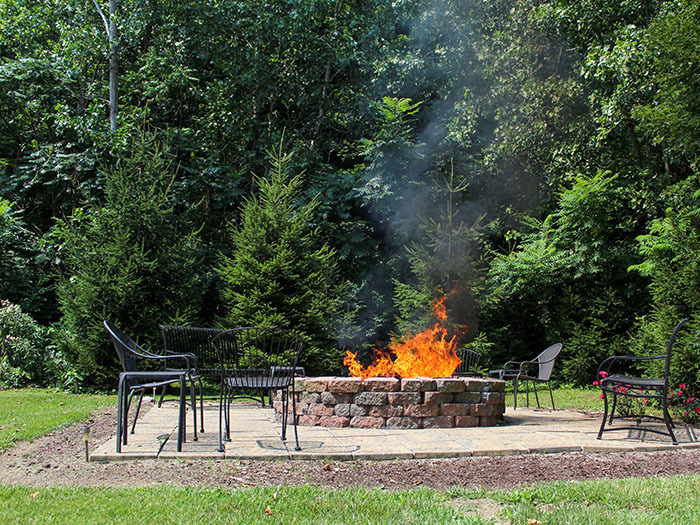 There's no better way for you and your friends and family to enjoy Put in Bay Ohio than with your own private home, right on South Bass Island. 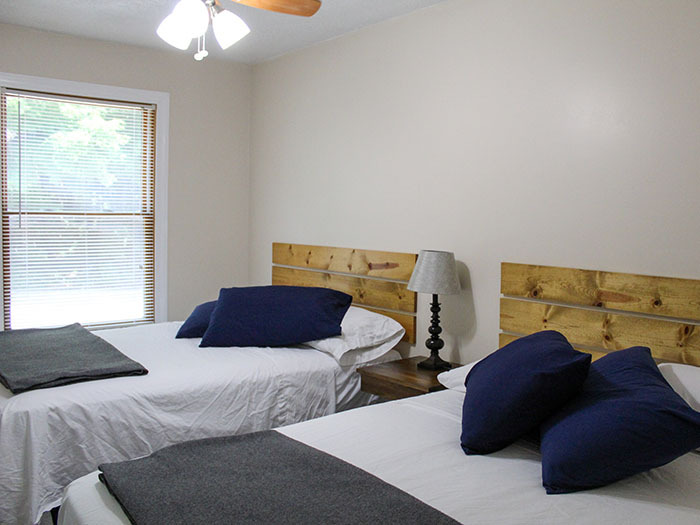 At Peace and Quiet, you'll be close to the bars, golf cart rentals, restaurants, shops and fun and excitement of downtown... but will have the luxury of returning to your private lodging with all the comforts of home at the end of the day. We hope that you won't spend too much time in the house as it would be a shame to waste all that the environment has to offer, but when you're inside we want you to have a relaxing, comfortable and functional space. We hope you enjoy staying in the house as much as we do.